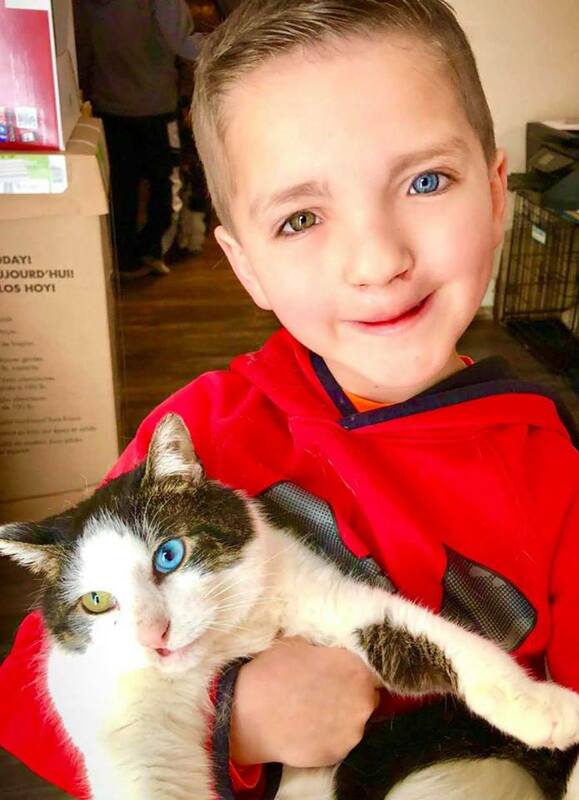 Seven-year-old Madden Humphreys was born with a bilateral cleft lip and palate, as well as a condition known as complete heterochromia iridum, which means his eyes are two different colors. While his cleft lip and palate have been corrected with surgery, Madden still bears a scar from the procedure. And now, he bears the weight of his peers’ scrutiny as well, as he is bullied in school for both the scar and his unusual eyes. Christina Humphreys wasn’t sure how best to help her son, until she stumbled across an eye-catching Facebook post in a group for mothers of children with cleft lips and palates. 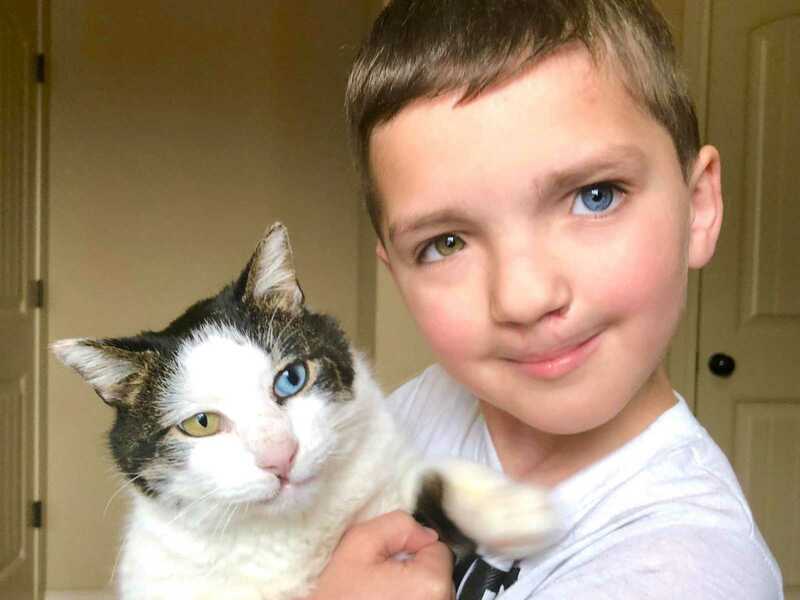 The post contained a picture of a cat, waiting to be adopted from a Minnesota animal shelter, that had a cleft lip. And as fate would have it, the similarities didn’t stop there. 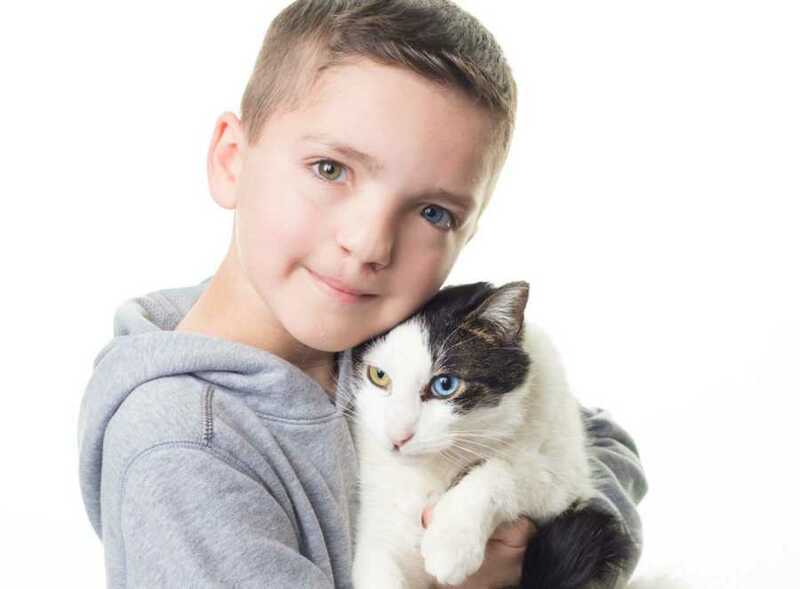 To Humphreys’ surprise, the cat in the picture also had two different colored eyes — one hazel and one blue — just like her son. Read their story here and follow them on Instagram here.